The Internet business is built on trust. From Amazon to Ebay, many online businesses enable strangers to meet and trust one another for transactions. It took a long time before people embraced the Internet, making it more open and collaborative. Online transaction relies on a lot of trust. Trust that the buyer pays and the seller actually sells the right product and ships what is paid for. There are many checks and balances in place for that. Trust and reputation are interrelated. Trust is personal. Reputation emanates from collective opinions of a community. Innovative and minority ideas may thus suffer the “tyranny of the majority” (http://www.gnuband.org/files/papers/trust_it_forward_Tyranny_of_the_Majority_or_Echo_Chambers_paolo_massa.pdf) where like-minded people reinforce each others’ views without being open to outside perspectives. On Twitter, Facebook and Wikipedia, perhaps, most of the webpages on the Internet, having an honour code is very important. You use your real profile so your friends, contacts, classmates and other acquaintances can find you and connect. Real accounts and profiles are important for online businesses to function as well. Today, more websites allow you to login using your Facebook profile and your real profile is important for many of the other services to function well. However, when people use fake profiles on Facebook, the whole fabric on what the Internet is built on is disrupted. Many people maintain fake profiles just to spread hate and troll online. This behaviour is very unproductive and serves absolutely no purpose – sort of like the spam email you get. Most of the people can see through the veil and ignore the trolls online that are just out to get a reaction and pick fights. A property which characterises the relationship between trust and reputation is reciprocity. The reciprocity involves an exchange of assessment (favorable or not). Like it or not, it is important that our society does not degenerate into hate-mongering and abuse, however controlling the medium. If the government is intolerant to bloggers critical about their policies, it will only drive people to continue their conversations on other platforms and use fake IDs. 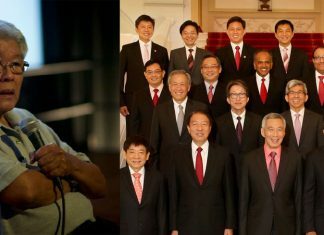 In Singapore, although communication is more democratic today, laws like defamation and contempt against critics are used when the government can simply engage these parties in a debate to find solutions to solve the problems. Singaporeans are not stupid. They are very capable of finding solutions that work for them. There seems to be an open call for ideas. However, many good ideas are rejected by the government because they come from the opposition. There are many views and opinions online, and just because they are different from the government’s view, it does not necessarily mean they are destructive. Singaporeans today are better-educated, and can think critically. To say that “satisfied people don’t go to the Internet, unhappy people do” suggests the Prime Minister has given up on engagement. It takes time to build trust and reputation but it is very easy to lose it. As the future unveils more technology to keep more people connected on the Internet, we may see more and more “unhappy people”.